It's like Guacamelee, but with a few extras. Who needs consoles when you can hop on the comfy PC bandwagon? DrinkBox Studios recently announced the PSN co-op platformer Guacamelee! is on its way to Steam! Moving from PlayStation 3 and PS Vita to PC doesn't come without a few perks, of course. The new release sports the full title Guacamelee! Gold Edition and will include a handful of extras, a few of which are PC exclusive. In addition, all who buy the game within a week of its August 8th release will get another DrinkBox Studios game for free: Tales from Space: Mutant Blobs Attack, a co-op puzzle platformer originally released in 2011. If you're unfamiliar with all this Guacamelee! business, here's the lowdown. 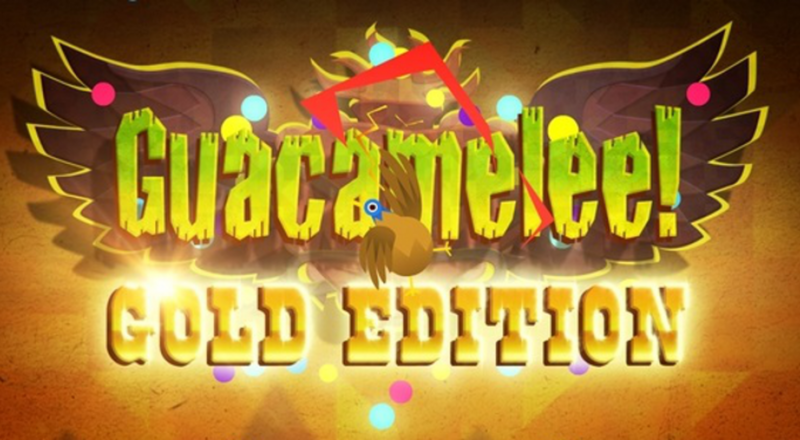 Part action game, part platformer, part brawler and part metroidvania, Guacamelee! stars Juan Aguacate, a down on his luck farmer who travels through the worlds of the living and the dead to rescue the love of his life. A second local player can join in for some nice co-op play, allowing the two of you to beat up everything that moves... in style! Guacamelee! Gold Edition hits Steam on August 8 carrying a price tag of $14.99/£11.99/€13.99.